However, if HR is becoming a drain on your resources then it’s clear that something is wrong, effective people practices should be saving you money, don’t ignore the problem it’s time to get the help you need. HR Revolution have the solutions and below we list the ways in which you can cut your costs, whilst bringing about fantastic results. The more you know, the better you can perform. This applies to anyone in your workforce, think about how you can build their capability and skill, improving their output, training should really be seen as an investment rather than an expenditure. Sometimes, dealing with HR issues can involve difficult and awkward conversations and it can be tempting to bury your head in the sand hoping that the problems will fix themselves. Needless to say, this will rarely bring about the results that you really need. Ensure that you are tackling issues head-on, and that you’re giving your managers the capability and confidence to do the same. I’m sure even in the uncertain economic times, plenty of business owners would like to be able to give their hardworking employees a pay rise, but simply can’t afford it, but it’s essential to look at the bigger picture and consider the other elements of your reward package that keep employees motivated and engaged. Never underestimate the value of showing your employees that they’re valued, and that they’re doing a good job a ‘thank you’ costs nothing. Flexible working is an attractive prospect for many employees and can offer them a greater work-life balance. Business owners are sometimes wary about allowing their employees to work remotely, but it’s something that would be worthwhile to consider. Think saving money on travel costs, IT, energy, and more and if you get it right, you could end up getting much more from your team. When cost saving is at the forefront of your mind, you need to keep sight of your priorities. You may need to save some cash, but this doesn’t mean that you should let quality and procedures slip. If you neglect to carry out important HR discussions, such as performance management reviews and disciplinary hearings, you might cut costs in the short term, but you can guarantee that you’ll be paving the way for bigger, more expensive problems in the future. Admin is a really important part of HR systems in any business. It’s vital that you keep timely and accurate records. Depending on how you manage this though, it could easily turn into a drain on your resources. 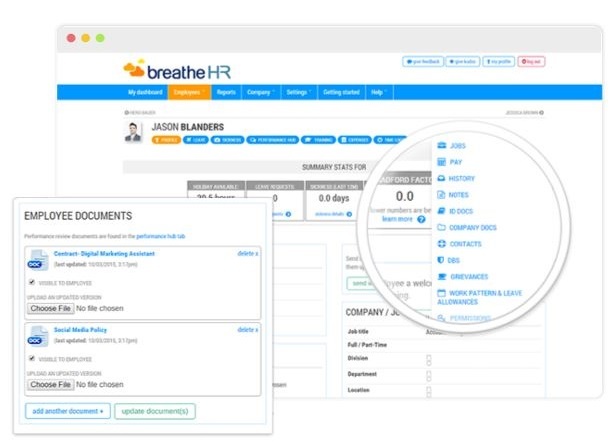 HR Revolution has the answer in the form of our fantastic HR information solution breatheHR, your online HR manager if you will. If you spend your time trying to second-guess what you employees really want, then you’re going to end up wasting money, when it comes to developing policies and practices that get the most out of your team, and drive them towards achieving big things communication is the key. Can you honestly say that you’re regularly and consistently collecting feedback from your workforce, and taking action on the findings? You could carry out employee surveys, or run focus groups. The specific schemes aren’t as important as the fact that you’re getting your employees involved in decision-making, and taking their views onboard. HR Revolution can offer you a full HR audit, detailing the core areas of your HR platforms and procedures, highlighting everything you need to make changes to help get your employees and business back on track. Again, this isn’t a cost, it’s an investment and one that could see a return many times over as HR Revolution has the people solutions that you have been looking for. If you would like to discuss any challenges you are facing or get some practical advice, then get in touch.